If it’s in front of the bottle, the bottle still tends to be in the way. Didn’t bother with a huge set of photos of it ‘under construction’ as quite frankly, it’s simple enough to make. 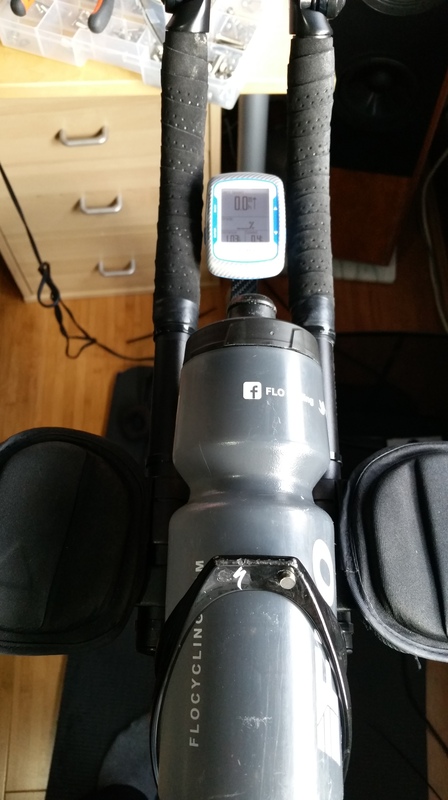 Cut a small bit of plastic away on the Garmin mount so it slots nicely on to the alu strip.. Installed on the bars with some honking great big cable ties and some sticky back neoprene between bracket and bars. Next ›March “Run streak” attempt.